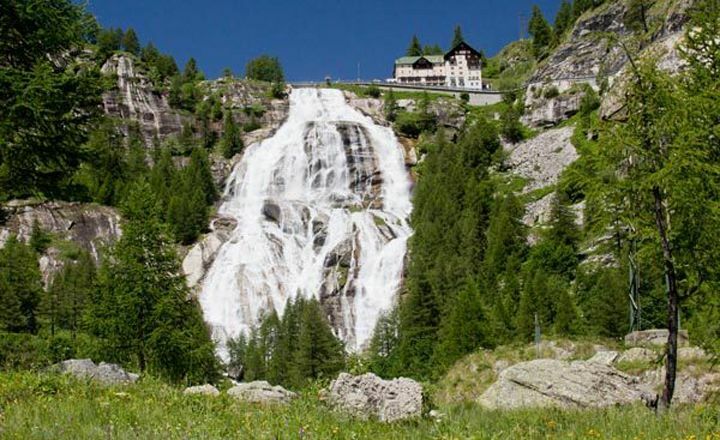 The «queen» of the Alps is, without any doubt, the famous Toce Waterfall in Alta Val Formazza, one of the most spectacular natural sights the mountains can offer us. There it is: suddenly the waterfall appears in its sober splendour right before your eyes, just after the last bend on the winding tr.. 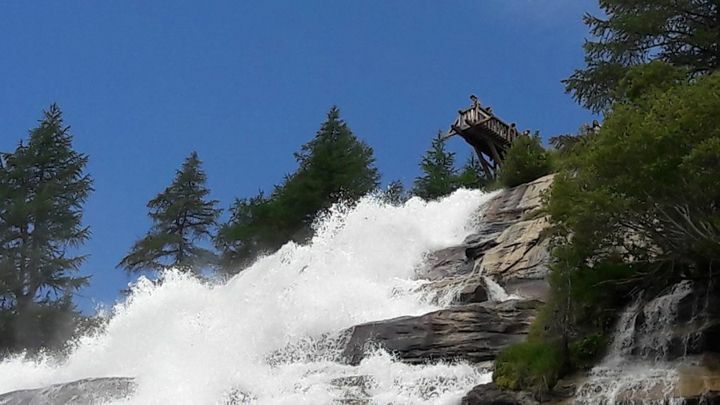 The «queen» of the Alps is, without any doubt, the famous Toce Waterfall in Alta Val Formazza, one of the most spectacular natural sights the mountains can offer us. It has been described by some as «the most beautiful waterfall in the Alps»; anyway it is certainly the most spectacular as well as the highest in Europe. The Frua (Frütt Fall in German Walser dialect) is formed by the river Toce, which rises in Riale at the confluence of the Hosand, Gries and Rhoni streams. 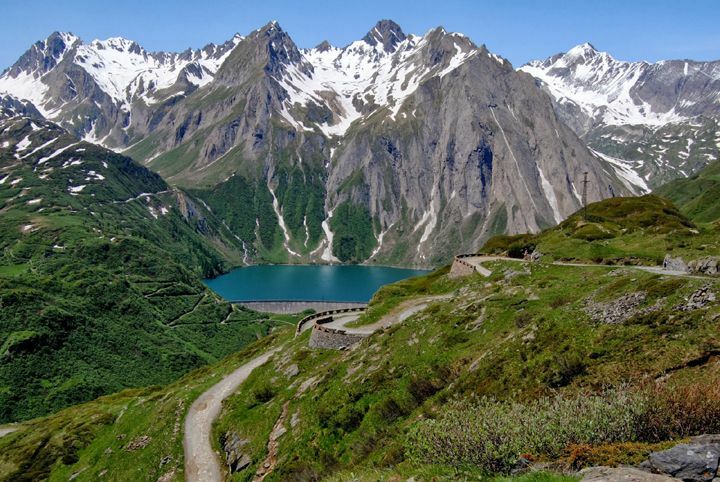 We are virtually at the border with Switzerland, enveloped in that distinctive atmosphere typical of the mountains, the crisp air that chills your skin, green pastures and the carefully refurbished Walser houses. The river Toce, which flows through the entire valley for a distance of over 80 kms and then into Lake Maggiore, slides over a rocky cliff edge and plunges 143 metres downwards creating a large fall base at the bottom. 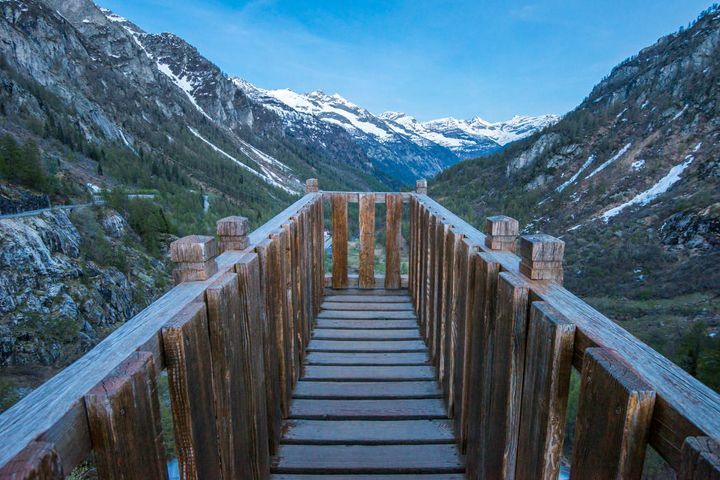 At the top, along the rock edge over which the river flows before cascading into the void, there is an excellent lookout: a little wooden balcony protruding over the drop provides the opportunity to observe the magnificence of this natural phenomenon. The history of the Toce Waterfall ties in with that of the Alpine exploration begun by De Saussure in the second half of the 1700s. 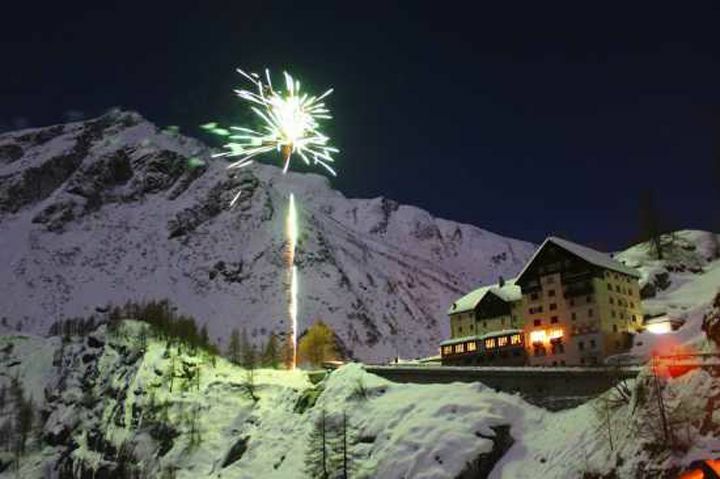 In 1863, the entrepreneur Giuseppe Zertanna, who foresaw the valley's tourist potential, had a hotel built beside the waterfall in order to host the the abundant hikers flocking to the area, attracted by the numerous trails in the mountains and glaciers. At a later stage the building was extended with the help of the architect Portaluppi, who also designed the beautiful hydroelectric stations in Ossola. Close to the hotel there is a little church dating back to 1600s dedicated to Our Lady of the Snows while nearby there is a pleasant little souvenir shop to remind us to spend our time like authentic tourists while there on holidays! 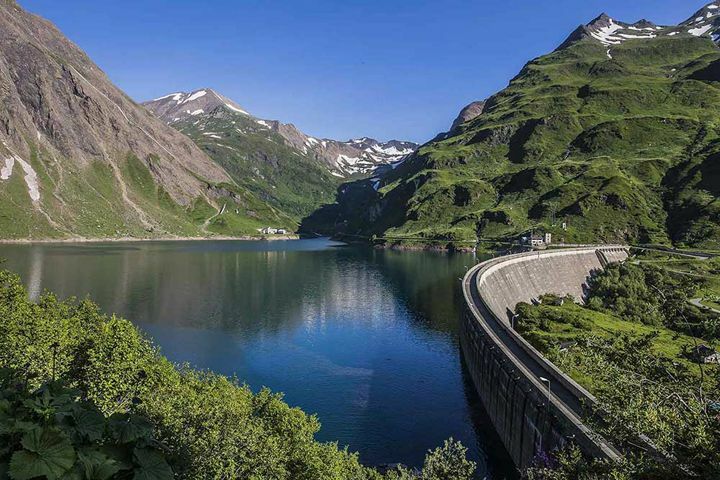 Such places have the capacity to transmit regenerative sensations especially to mountain enthusiasts and, in fact, several different paths depart from the waterfall and lead to the artificial Alpine lakes built to provide for the various hydroelectric stations. The largest of these basins is Lake Morasco, enclosed by a huge dam which can be used by pedestrians, but there are other lakes, Toggia, Castel and Nero, which can be reached either on foot or by bicycle thanks to the trekking itineraries. If you venture up some of the paths you will soon hear marmots whistling and the ringing of bells, worn by the herds of cattle that populate the grassland of Bettelmatt: the little Alpine dwellings known as “baite”, great expanses of gentian flowers, streams and the fords where they can be crossed... all of these help transmit a feeling of peace. I wish to recommend doing something before you return downhill and come back to La Darbia: lie down on the grass, close your eyes, breathe in the pure mountain air and, above all, listen to the mighty roar of the waters of the most beautiful fall in the Alps... It will give your energy a long-lasting boost!